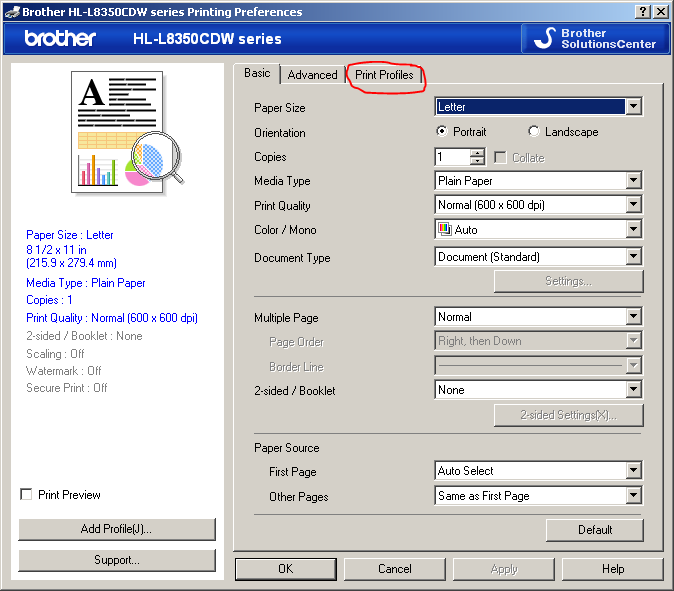 To print on glossy photo paper click on print from your file menu and click on the Printer properties. 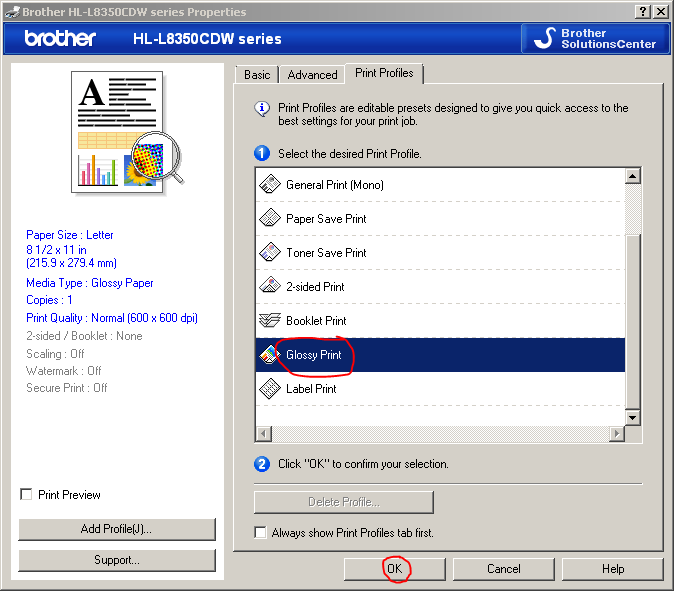 Click on the 3rd tab "Print Profiles"
From the listed profiles select "Glossy Print" and click OK to confirm the selection. The printer is now ready to print on glossy photo paper. 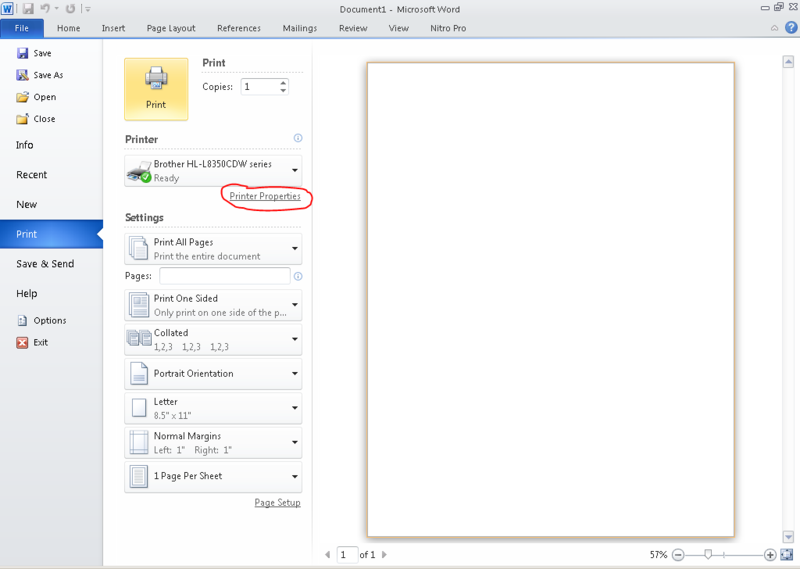 You will need to repeat the process for each document you wish to print on photo paper.